The Herald Sun Announces Furst Electrical Services Win! 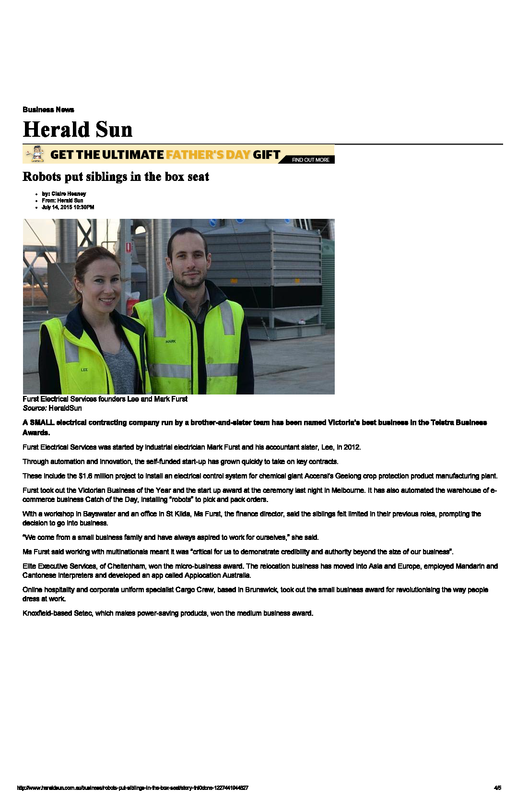 The Herald Sun showcases Furst Electrical Services win at the 2015 Telstra Business of the Year Awards. We’re delighted to be flying the flag for industry in Victoria and spreading the word about the exciting and innovative accomplishments of businesses in our sector. You can also find the article on the Herald Sun website.